But will they be alive tomorrow? Who would you live and die for on that list? 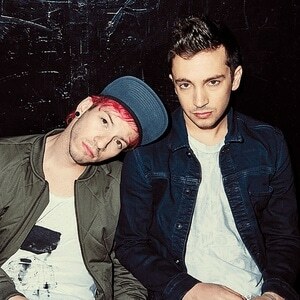 The duo that is twenty one pilots – Tyler Joseph and Josh Dun – has earned widespread acclaim for their energetic live sets and distinctive fusion of piano-driven pop and lyrical uplift. No strangers to the road, Twenty One Pilots has built a fervent national following via their electrifying live performances at innumerable headline shows and tours. The band was formed in 2009 in Columbus, Ohio by college friends, Tyler Joseph, Nick Thomas, and Chris Salih.